برنامج audacity لتحرير ملفات الملتيميديا وصنعها ( ملفات الصوت تحديدا ) البرنامج شهير جدا يمكن المستخدم من تحرير ملفات الصوت مثل تقطيعها و قص قسم منها ودمج الملفات واعادة قسم ما من الملف الصوتي وغيرهم… كما يمكن البرنامج المستخدم من التسجيل بواسطة مايكروفون او اي وسيلة تزجيل خارجية حيث يتم التسجيل بواسطة البرنامج و يزود البرنامج المستخدم بكافة المعلومات عن الملف الذي يتم تسجيله ويمكن للمستخدم من ضبط اعدادته بعد انهاء التسجيل . هذا البرنامج الرائع مخصص لتحرير الصوتيات، فلا تبحث عن شيء أخر غير الرائعة المجانية Audacity. يمكنك التسجيل مباشرةً، تحويل التسجيلات و الشرائط القديمة إلى ملفات رقمية، قص، نسخ و توصيل الملفات بالإضافة للكثير. هذا الإصدار يُحَدَث بإنتظام، و بالرغم من العلامة التجريبية “بيتا” فهو مستقر جدا. سواء أخترت السلسلة المستقرة أو التجريبية “بيتا”، برنامج Audacity ليس جذابا جدا، و يمكن أن يبدو عند اول نظرة معقدا. على أي حال، بالقليل من التجريب سريعا ما يصبح تطبيقا صالحا جدا للاستعمال. 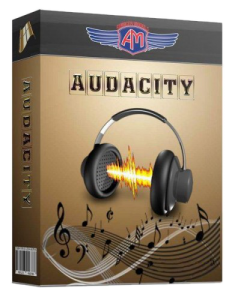 The Audacity Team is pleased to announce the release of Audacity for Windows, Mac and Linux/Unix. This release removes a significant number of crash or freeze problems and other major bugs. It brings us very close to our goal of a new 2.0 Release. We ask everyone to help us test and let us know of any problems you find. Advanced users are encouraged to test our latest fixes as we make them by downloading our Nightly Builds. We hope a final Beta will follow soon. Audacity 2.1.2 replaces all previous versions. We’ve made several improvements to the spectrogram view of tracks which are particularly valuable for vocal work. Thanks to Paul Licameli. We put a lot of work into upgrading the key wxWidgets library we use from version 2.8.12 to version 3.0.2. This fixes many bugs in Audacity on Linux. Thanks particularly to Martin Steghöfer, Leland Lucius, David Avery. Because there was so much work involved in moving to wx3 we were unable to make many of the other changes we wanted to make for 2.1.2. Fuller details on the changes since 2.1.1 can be found in the 2.1.2 Release Notes. 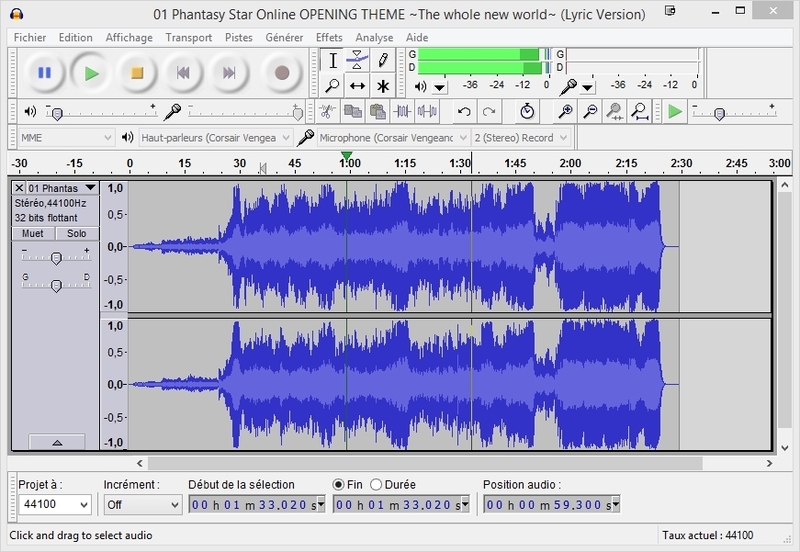 Audacity allows you to edit all popular formats of audio files. The freeware imports sounds and music, puts sound effects against individual tracks and mixes things like music tracks and podcasts together. Audacity comes with many professional editing and recording functions. It's possible to create both live recordings as well as cut tracks. The results are saved as one of the many supported audio formats. In addition, Audacity has an audio toolbox with countless effects, an equalizer and frequency analysis on board. 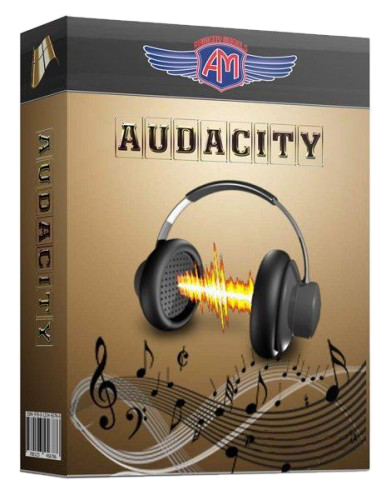 If necessary, you can also extend Audacity with free plug-ins from the manufacturer's site. The user sets all settings on the Audacity user interface. The commands Cut, Copy and Paste allow you to tinker with your own tracks. You can also link Audacity to the microphone for you to add your own voice tracks. Audacity represents the course of a musical fragment on the horizontal timeline. In case of emergency everything can be undone with one click....which can be helpful! Audacity doesn't reach the level of some of the paid professional design programs. The interface looks kind of sober, sometimes even a bit stale. In our test, the application also crashed several times. Audacity will let you mix your own tracks in no time at all. With the convenient array of tools and effects you can get decent sound quality on smaller productions. Just remember that a little training time and patience are required to get the most from the tool.